There are two methods for keeping track of your income and expenses: cash and accrual accounting. Choosing your accounting method may seem complicated, and based on which one you choose, that’s exactly how your finances may end up. Cash: This method requires cash to change hands, meaning that transactions are recorded only when payment is received or made. Accrual: Based on matching, this method records revenue and expenses when they are earned in real-time even if payments haven’t hit or left your account yet. You may have also heard of GAAP accounting, which is essentially the Magna Carta of the accounting world. Unlike cash and accrual, GAAP is not a form of accounting but a set of widely accepted standards and rules set in place to ensure companies account for their financials in the same way. Accrual is the acceptable form of accounting under GAAP’s rules. Cash is not. You can read more about the business benefits of going GAAP in our handy guide! Johnny sells books at Folsom Prison. He charges $5 per book. One day his cell mate wants to buy a book but doesn’t have any... cash. Johnny decides to let him buy the book now and pay later. → Under the cash method Johnny is still at $0 for that book, and will have to wait until his cell mate pays him to recognize the $5. → Under the accrual method Johnny is $5 richer! Johnny’s book business gets very popular so he decides to open a library and charge $5 a month for unlimited book lending. Johnny’s cellmate has been saving up and wants to pay Johnny $60 for a whole year (in case he gets jumped in the yard). → Under the cash method Johnny has made $60 this month, but will make $0 from his cellmate for the next 11 months. → Under the accrual method Johnny defers (or distributes) that $60 into $5 across each of the 12 months of the subscription contract. As his library grows, Johnny will find that his investors (the warden and guards) want to present his financials to the prison’s board of directors, and will ask him to make them GAAP compliant. This will be easier if he’s using the accrual method to then have Ben and Wyatt (ex-CPAs from across his block) apply the additional rules and principles GAAP accounting requires. As you can see, the primary difference between cash and accrual/GAAP accounting boils down to one thing: timing. Historically, cash accounting made sense when people paid cash (or traded) for everything at the time of purchase. But when was the last time you paid for your scuba gear, Spotify subscription, or even your Starbucks in cash? All kidding aside, while cash accounting does have a time and place, its utility may be short-lived. Smaller businesses and early stage startups lean toward cash because it seems simpler to people who without an accounting background. And it is—until your business grows and gets more complicated. At that point it most certainly is not simple or helpful especially when you’re seeking investors, business loans, or lines of credit. Waiting to “get paid” is frustrating. Choosing the cash method leaves you at the mercy of your customers and vendors who operate on different schedules, making it hard to expect when each payment will be reflected in your accounts. With accrual accounting you account for this income as you earn it instead of waiting to receive the actual funds. This forces you to see where you aren’t hitting expectations you’ve planned for and spot issues in collections and other profit centers that cash just can’t provide. Your accounting can be your business’ secret weapon when done correctly and provide the insight into your business that no other process can. However, because the cash method doesn’t let you recognize your income until you receive it, it’s difficult to plan future income may or may not be coming your way. This makes it easy to slip up and lose track of things like settling your accounts receivable or recognizing interest income, and these oversights can add up. It’s almost like you’re living paycheck to paycheck. Because timing is unpredictable you’ll have limited foresight into what that paycheck will be or when your bills will be deducted. Not exactly ideal. The only foolproof way to ensure you’re catching these bookkeeping blunders is to use accrual/GAAP accounting instead. This way you can record your transactions as they happen so they are visible in your reporting giving you the insight to plan your business’ next steps. Chances are you’re hoping your business will grow. During simpler times cash may seem like the easier route, but during and after you scale, cash just doesn’t cut it. As a method, cash can’t provide the bandwidth you need to track things accurately and responsibly, or the ability to identify future hurdles or opportunities. GAAP accounting is a better way to plan for the future and anticipate cash flow trends, almost like a crystal ball. This information is invaluable when forming a business model that’s built to last. Cash just doesn’t provide an accurate picture of a company’s finances. It can’t show the costs you’ve accrued, which investors will want to know and it’s not a reporting system they are used to seeing so they usually won’t feel comfortable that they’re making an informed decision. GAAP accounting is what your potential investors will be used to seeing across their portfolios. This makes it easy for them to decisively invest or trade stocks in your company even when they aren’t familiar with your business. Ergo, all publicly traded companies are required by U.S. law to report their financials using GAAP accounting. Banks and other lenders won’t even consider loaning to a businesses on the cash method, especially if they have more than $500,000 in annual revenue. A bank will typically ask that you go back and hire an expert to provide more accurate (“legitimate”) financials using the accrual/GAAP method. In both cases, when a bank, investor, or shareholder looks at how much a company is worth, its earned revenue is just as an important asset as what cash it has on hand. Whether you are starting a business and are contemplating the cash method, or have been operating on cash for some time, it’s important to think about the long-term vision of your company. Do you plan on providing subscription services? Are you going to have inventory? Will you want to raise outside funding? These goals require you to anticipate your finances. Choosing accrual/GAAP over cash accounting, will give you a more accurate way to predict cash flow trends, and even diagnose potential issues in your earning capabilities. With experience in both cash and accrual accounting, compliance with GAAP, and managing audits, inDinero’s team of accountants, bookkeepers, CPAs, and tax and payroll specialists can help with any questions or pain points you have, no matter what stage you’re in. 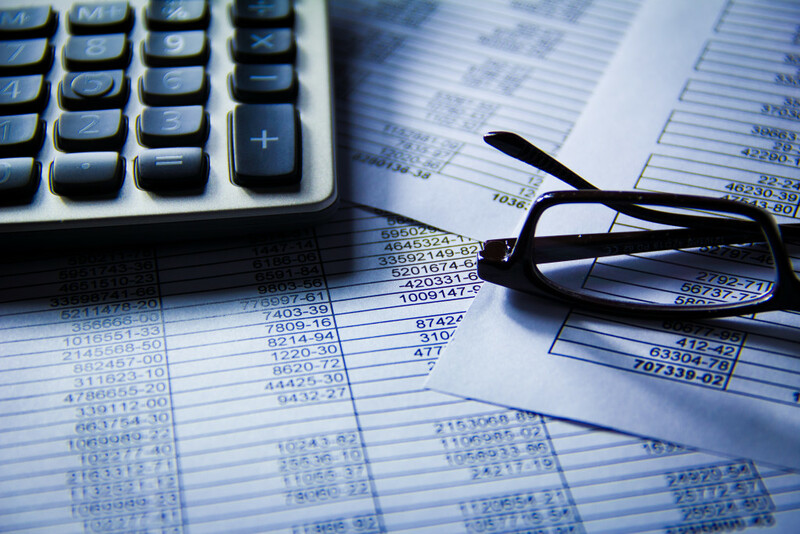 If you still want to know more about GAAP accounting to see how it might help your business, take a look at our comprehensive guide for business owners.